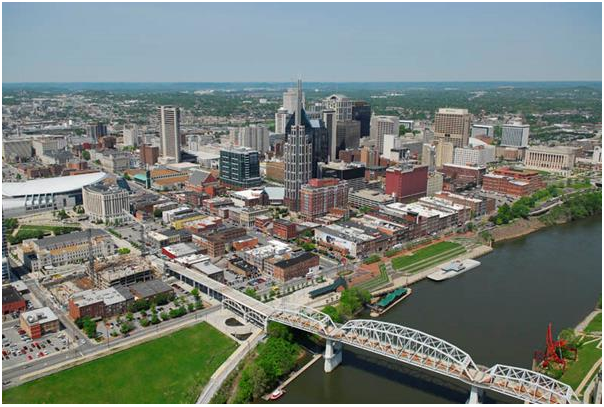 Nashville, Tennessee continues to experience unprecedented job growth. 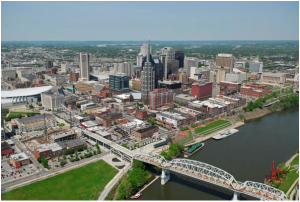 Ranked Number 20 on Forbes’ list of Fastest Growing Cities, Nashville’s post-recession job growth outpaced much of the country, with unemployment declining from a high of 10.4% in 2009, to just over 5% in mid-2015. In 2014, the job growth rate was 3.6% higher than the previous year, and is expected to be even higher as 2015 numbers are finalized. Growth has become so fast, that the city is running out of office space and constructing buildings as quickly as possible to meet demand. Nashville’s expansion and its future needs for technology has not gone unnoticed. Tech giant Google has strategically identified Music City—and already begun laying fiber optic cable—as a target for its ultrafast internet service, ‘Fiber.’ This new service provides speeds 20x faster than average connections, and is only available to cities in the U.S. selected by Google. The new gigabit internet service will bring faster internet connections, resulting in faster BYOD sharing, better videoconferencing quality, and ultimately a better enterprise-wide collaboration experience for Nashville-area businesses. Trinity Video Communications provides state-of-the-art audiovisual and video communications solutions to large corporations and healthcare organizations to transform the way they communicate and share information. The company specializes in A/V systems integration for executive conference rooms, huddle rooms, classrooms, worship centers, and command and control centers, as well as unified communications, telemedicine solutions, Bring Your Own Device (BYOD) videoconferencing, digital signage, video walls, and streaming video. In addition to its Louisville, KY, and Sterling, VA, locations, Trinity Video has sales and engineering representatives in Cincinnati, OH, and Nashville, TN. For more information, call 800-261-9008.